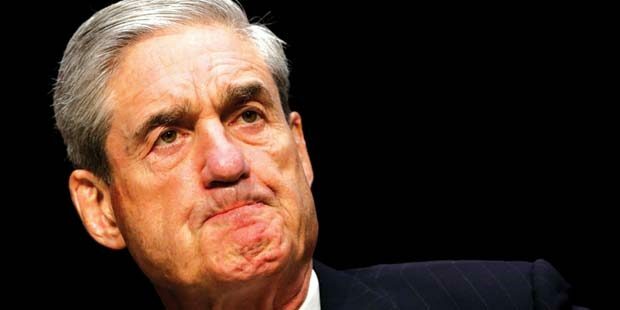 Robert Mueller’s “Star Lawyers Team” is costing U.S. taxpayers millions of dollars. For well over a year, he and his elite team of lawyers are drawing from a bottomless money pit and we, as taxpayers, should insist on a return for our money. All Mueller has to show for his Russian probe is a continual switching investigation from collusion to obstruction to campaign violations. They have not been able to connect President Trump to any of the above matters, so they keep on collecting enormous paychecks for doing absolutely nothing. If Miller cannot find any crimes in more than a year and a half, he needs to be held accountable for drawing this out. Millions and millions of dollars, no results — witch hunt! Of the 17 attorneys currently on staff for Mueller, at least seven have donated to Democratic candidates and campaigns, including Trump’s 2016 rival Hillary Clinton. The rest have represented or worked for Barack Obama and Hillary in one form or another! Some in the conservative media have accused Michael Dreeben of donating to Democrats, including Barack Obama and Hillary Clinton. James Quarles has donated over $30,000 to Democrats over the years, including Barack Obama and Hillary Clinton, according to Open Secrets. Rhee once represented Hillary Clinton in a lawsuit over her use of a private email server, according to Politico. Weissmann donated $2,300 to the 2008 campaign of Barack Obama, according to Open Secrets. Zebley once represented Hillary Clinton aide Justin Cooper, who played a key role in Hillary Clinton’s set up of a private email server, according to CNN. He worked for the State Department under the Obama administration, where he dealt with hostage negotiations. As Politico reported, Freeny has drawn criticism in the past when she was one of the lawyers defending the Obama administration from a lawsuit that challenged one of Obama’s executive actions on immigration. U.S. District Court Judge Andrew Hanen had accused Freeny and her colleagues of misleading him. Another aspect about Freeny likely to draw ire from Mueller’s critics is her political donations to Democrats, which consist of $250 donations to each of Obama’s presidential campaigns and $250 to Hillary Clinton’s 2016 campaign, according to Politico. Worked under Preet Bharara, the federal prosecutor who was famously fired by Trump in March after refusing to resign. Prelogar clerked for Liberal Supreme Court Justice Ruth Bader Ginsburg. As assistant U.S. attorney, Asonye is the prosecutor in Paul Manafort’s trial in the Eastern District of Virginia, according to ABC News. Federal Election Commission records show that Asonye donated $800 to Hillary Clinton’s primary campaign in 2008.